Several months ago SanDisk launched their first ever consumer client TLC (Triple Level Cell) NAND based SSD, the SanDisk Ultra II, and now SanDisk is bringing the same technology (and its benefits) to business/enterprise users as well. As expected for the new drive, the SanDisk X300 will be using SanDisk’s latest second generation 19nm (1Ynm) TLC (Triple Level Cell) Toggle Mode NAND, which SanDisk is now referring to as “X3” NAND. In addition, the X300 will also get SanDisk’s new second generation nCache tiered caching technology, nCache 2.0. nCache 2.0 converts a portion of the slower TLC NAND into a fast SLC cache to help improve SSD endurance, efficiency, and performance. The SanDisk X300 will also feature support for SanDisk’s SSD Dashboard which was launched with the SanDisk Extreme PRO SSD earlier this year. The SanDisk SSD Dashboard gives users the tools to monitor drive performance, update firmware, drive cloning, etc. in an easy to use software utility. 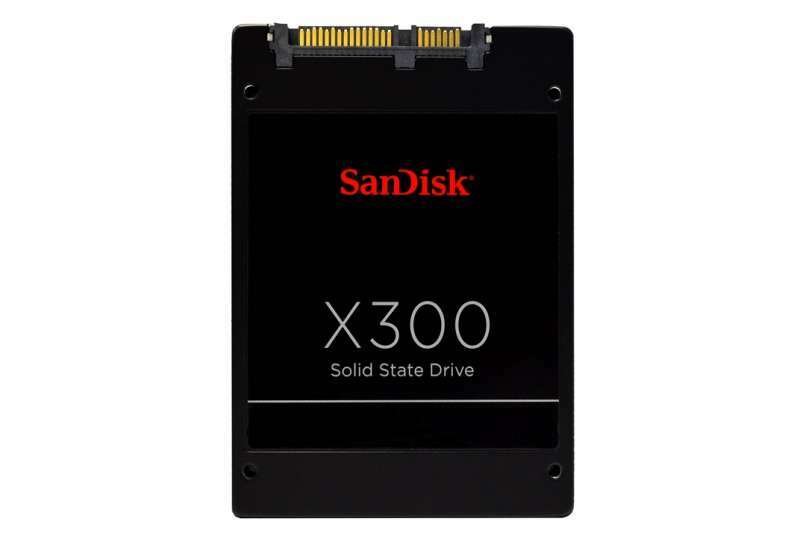 The SanDisk X300 will be available in capacities of 128GB, 256GB, 512GB, and 1TB (2.5″ only) in various form factors such as 7mm 2.5″, mSATA, and M.2 2280. SanDisk expects the drive to be available sometime this month although we’re not quite sure what pricing will look like at this point. That said, if the SanDisk Ultra II is any indication, pricing should be very competitive. More information about the SanDisk X300 can be found in the datasheet here.